Drude, Sebastian; Souza, Marcela Coelho; 2004. “Aweti”. São Paulo: Instituto Socio-Ambiental (ISA), 2004 (Verbete Extenso (Digital)). Drude, Sebastian. 2006a. 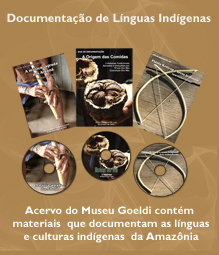 “A metodologia DOBES de documentação linguística e o formato de anotação de textos”. Cadernos de Estudos Linguísticos 35 (UNICAMP), p. 27–51. ISSN/ISBN: 01025767. Drude, Sebastian. 2006b. “On the position of the Awetí language in the Tupí family”. In: DIETRICH, Wolf; IS, Haralambos (Orgs.). Guarani y “Maweti-Tupi-Guarani”: Estudios historicos y descriptivos sobre una familia linguistica de America del Sur. Berlin, Munster etc. : LIT Verlag. p. 11–45. ISBN: 3825885682. Drude, Sebastian. 2008a. “Tense, Aspect and Mood in Awetí Verb-Paradigms: Analytic and Synthetic Forms”. In: HARRISON, David; ROOD, David; DWYER, Arienne. (Orgs.). Lessons from Endangered Languages. Amsterdan: Benjamins. p. 67–110. ISBN: 9789027229. Drude, Sebastian. 2008b. “Inflexional units and their effects: the case of verbal prefixes in Guaraní”. In: SACKMANN, Robin (Org.). Explorations in integrational linguistics: four essays on German, French, and Guaraní. Amsterdam, Philadelphia: Benjamins. p. 153–189. Current Issues in Linguistic Theory 285. ISBN: 9789027248000. Drude, Sebastian; Seifart, Frank; Franchetto, Bruna; Gasché, Jurg; Golluscio, Lucía; Manrique, Elizabeth. 2008. “Language Documentation and Archives in South America”. Language Documentation & Conservation (LD&C) 2, p. 130–140, 2008. ISSN/ISBN: 19345275. Drude, Sebastian. 2009. “Nasal Harmony in Awetí – A Declarative Account”. 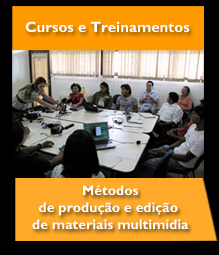 Revista Virtual de Estudos da Linguagem, Edição Especial 3. ISSN/ISBN: 16788931. Drude, Sebastian. 2010. “Comparando línguas alto-xinguanas: Metodologia e bases de dados comparativos”. In: FRANCHETTO, Bruna. (Org.). Alto Xingu. Uma Sociedade Multilíngue. Rio de Janeiro: Museu Nacional / UFRJ. Galucio, Ana.Vilacy. A Relação entre linguística, etnografia e arqueologia: um estudo de caso aplicado a um sítio com ocupação tupiguarani no sul do Estado do Pará. In: Edithe Pereira; vera Guapindaia. (Org.). Arqueologia Amazônica. Belem: MPEG, 2010, v. 2, p. 795-824. Alves, Ana Carolina; Galucio, Ana Vilacy . Análise Fonética Acústica dasVogais Orais da Língua Sakurabiat. Letras de Hoje, v. 42, p. 27-42, 2007. Galucio, Ana Vilacy. Relativização na Língua Sakurabiat (Mekens). Boletim do Museu Paraense Emilio Goeldi. Ciências Humanas, v.1, p. 49-59, 2006. Galucio, Ana Vilacy. Puruborá: notas etnográficas e Linguisticas recentes. Boletim do Museu Paraense Emilio Goeldi.Sér Ciências Humanas, Belém, v.1, n.2, p. 159-192, 2005. Galucio, Ana Vilacy. Sakurabiat (Mekens). In: Instituto Socioambiental. (Org.). Enciclopédia dos Povos Indígenas. Sao Paulo: 2003. (Verbete Extenso (Digital)). Meyer, Julien. (2008). Acoustic Strategy and Typology of Whistled Languages; Phonetic Comparison and Perceptual Cues of Whistled Vowels. Journal of the International Phonetic Association. Cambridge University Press, 38 (1), 69-94. Meyer, Julien & Casimiro, J.N. (2008). Exploiting the didactic role of whistled speech: interactions between phonetic research and education in Gomero Spanish and Mazatec. Language Design, Journal of Theorical and Experimental Linguistics, Special issue 2: Experimental Prosody, Granada. Metodo Ediciones, 57-64. Meyer, Julien & Gautheron, B. (2006). Whistled speech and whistled languages. In K. Brown (ed.) Encyclopedia of Language and Linguistics 2nd Edition, Elsevier, Oxford, 13, 573-576. Meyer, Julien. (2004). Bioacoustics of human whistled languages: an alternative approach to the cognitive processes of language. Anais da Academia Brasileira de Ciências, 76, 2, 406-412. Moore, Denny; Franchetto, B. Brazil, UNESCO Interactive Atlas of the World s Languages in Danger. 2009. (Cartas, mapas ou similares/Mapa). Moore, Denny. Cláusulas Relativas de Gavião de Rondônia. Boletim do Museu Paraense Emilio Goeldi. Zoologia, Belém, v. 1, p. 135-143, 2006. Moore, Denny; Galucio, Ana Vilacy. Cómo pueden los lingüistas ayudar a las comunidades indígenas (How Linguists can Help Native Communities). Oralidad Anuario 14. UNESCO, 2005. Moore, Denny. Endangered Languages of Lowland Tropical South America. In: Matthias Brenzinger. (Org.). Linguistic Diversity Endangered. Berlim: De Gruyter Incorporated, 2007, v. , p. 29-58. Moore, Denny; Gabas, N. O Futuro das Línguas Indígenas Brasileiras. In: Louis Forline; Ima Vieira; Rui Murrieta. (Org.). Amazônia além dos 500 Anos. Belém: Museu Paraense Emílio Goeldi, 2006, v. , p. 433-454. Moore, Denny. Brazil: Language Situation. In: Keith Brown. (Org.). Encyclopedia of Language and Linguistics. 2 ed. Londres: Oxford: Elsevier, 2006, v. 1, p. 117-127. Moore, Denny. ; Storto, L. As Línguas Indígenas e a Pré-História. In: Sérgio D. J. Pena. (Org.). Homo brasilis: Aspectos Científicos, Linguísticos, Históricos e Sócio-antropológicos da Formação do Povo Brasileiro. Ribeirão Preto: Editora FUNPEC, 2002, v. , p. 73-92. Moore, Denny; Galucio, A. V; Gabas Junior, Nilson . O desafio de documentar e preservar as línguas amazônicas. Scientific American Brasil – Amazônia (A Floresta e o Futuro), Brasil, p. 36 – 43, 01 set. 2008. Voort, Hein van der. Reduplication and repetition of person markers in Guaporé isolates. Morphology, v. 19, p. 263-286, 2009.